A year after her mother divorces to marry a lawyer, Bailey Rydell decides to leave Washington, D.C., to live with her father in California. One of her primary motives for going is to track down Alex, a boy she met online but has never seen in person. Like Bailey, Alex loves old films and, coincidentally enough, he lives in her father’s neighborhood. 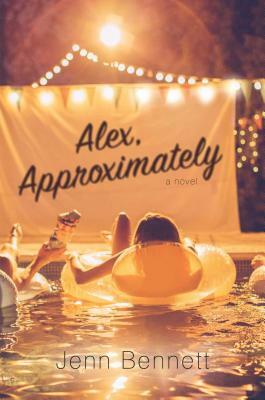 But after Bailey settles in and starts a job at a quirky local museum, her mission to find her “film-buff soul mate” is sidelined as she becomes absorbed in a love-hate relationship with Porter, her arrogant, surfer coworker. As might be expected, Bailey’s and Porter’s fiery retorts soon kindle passion, and the two start dating despite Bailey’s guilt about keeping him a secret from her online pal. In what’s essentially a YA version of You’ve Got Mail, Bennett’s (The Anatomical Shape of a Heart) contemporary romance offers sympathetic characters and plenty of drama. Although the climax is forced and predictable, the protagonists’ backstories shed light on their respective anxieties, adding depth to their conflicts. Ages 14–up. An irresistible tribute to classic screwball-comedy romances that captures the "delicious whirling, twirling, buzzing" of falling in love.